Amazon Review Sites | How to get free and cheap items from Amazon! I posted the other day on my Instagram account a bunch of freebies that I received in the mail. 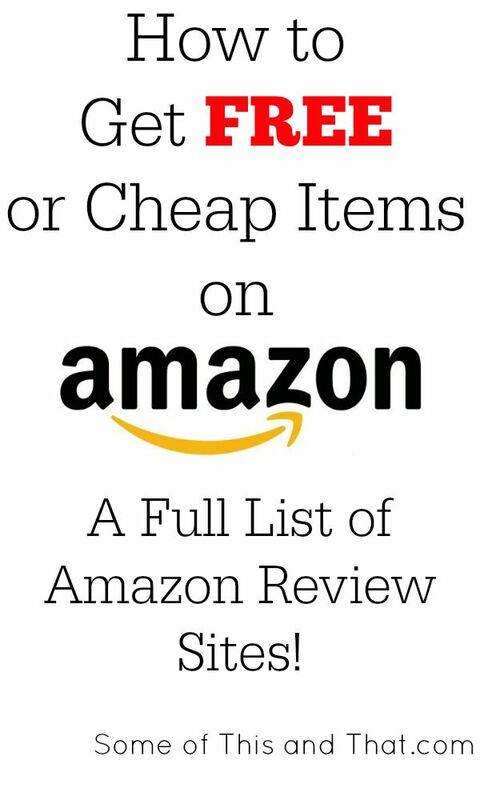 There were questions on how I got them for free or super cheap, so today I am sharing a full list of Amazon Review Sites that you can get free or cheap items from. These sites do require that you leave a review of the item on Amazon.com, but if you are organized, it only takes a few minutes to write up each amazon review. I have a few sites that I visit daily, and there are a few Amazon review sites that have more restrictions. I will list each site that I personally use and how each works. AMZ Review Trader – This is by far my favorite site! 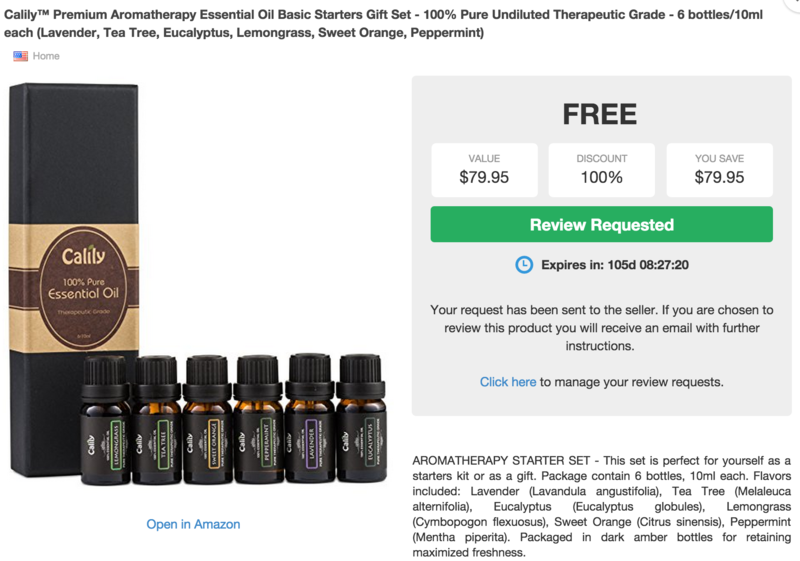 They have tons of products to choose from to review and you can request up to 20 items at a time. Now, you may not get every review that you request, but that is ok. I generally will wait 2-3 days to see if I am approved and if not, I remove the request and move on to other products. Elite Deal Club – I love this one because again, I can view items and pick and choose what I want to review. There is no waiting to be selected though, but new items tend to go fast so you may have to keep an eye on your email for when new products are added. SnagShout – With this site, you can only review one item at a time. So once your item comes in and you leave an Amazon review, you can choose another product. Dollar Deal Reviews – With this site you start with 200 deal tickets that you can redeem for products or discount codes. Once you leave a review you will earn more deal tickets to redeem for more products! Amazing Deals Group – Similar to Dollar Deal Reviews, you get coins to redeem for deals, once your review has been posted you get more coins to redeem. Home Product Testing – There are lots of kitchen and home items here available! Etekcity – This site has a smaller selection, but most are electronics. Email Alert Amazon Review sites – these are sites that you can sign up for that will send you emails about free items and discounts when they are available. Some of them you have to be quick because they sell out fast. I would recommend setting up a separate email just for these. Other Review Sites – Here are some other sites that you can snag freebies from that may or may not require a review on another site, like Target.com. Social Nature – Grab freebies and share on social media what you think about them. Is there a favorite site that you use that I missed? Let us know about it in the comments below! Previous Post: « Laundry Should Not Be Messy Business! Hello. There is a new site that we just launched. http://www.honestseedling.com. Check it out and register for a free account.There is also a premium account where you get to see the items first hand before it becomes available to the regular members. I need to figure out all these social media sites and what to do on them. Just now getting started. Never too late. Sounds like fun to try anyway. Thank you for this list! Do you know anything about Reviewsio? I have been using it for almost a month, but now the page will not load. Am I the only one having this problem? Thanks for your time.